Canoe time!!!!! 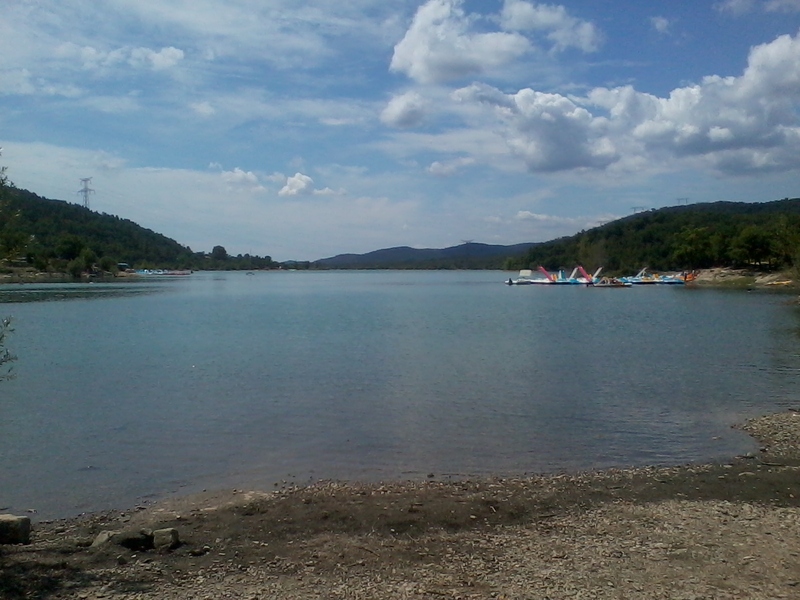 In an effort to escape the masses and try out the canoe I looked on the map and found a large inland lake – Lac De St Cassien. With directions from George we took the “scenic” route through pine forests and up twisting roads with dramatic views and death trap corners. Oh how we all laughed at the lack of health and safety as we rounded another corner with a sheer drop and either no or a pathetic attempt at a barrier. We arrived at the lake and found a lay-by to park in and set off for the beach, after inflating the canoe, this time with the aid of 12v electricity from the car. From the picture you can see that it is a beautiful lake, the sun was shining and the kids were immediately in the water with the canoe. My first attempt at getting into the canoe without getting wet ended in disaster as I tipped the boat and fell in but with a few instructions from Oliver and stern words from Beta who simply did not want to end up in the water, I managed to clamber aboard. After a little paddle around I asked Oliver what was the best way to get out, big mistake, he said “like this” and tipped me out!!! Although their were’nt many people dotted around the small beaches I was conscious that a fat 43-year-old could on no account look elegant or graceful whilst boarding an inflatable canoe so he probably did me a favour by tipping me out. Time for a coffee! Fortunately for us there was a small shack just along the beach where Bruce enjoyed an espresso and I enjoyed an ice-cold can of beer overlooking the lake. After our little coffee break and a picnic including the usual baguette, fromage, meat, cous cous and drinks, we decided it was time to leave and head for Cannes. So we waved goodbye to the tranquility of the lake, the pedaloes, the beach shack and the pine clad slopes and headed for the city – idiots! Cannes is as busy as it gets in the South of France, it’s a nightmare to get into and even more of a nightmare to get out of, especially with Fugly, hills, traffic jams and a smell of burned clutch. Once there we headed away from the harbour with its big boats and yachts and found a small bar to enjoy a drink which they served with olives, radishes, tomatoes and peanuts. 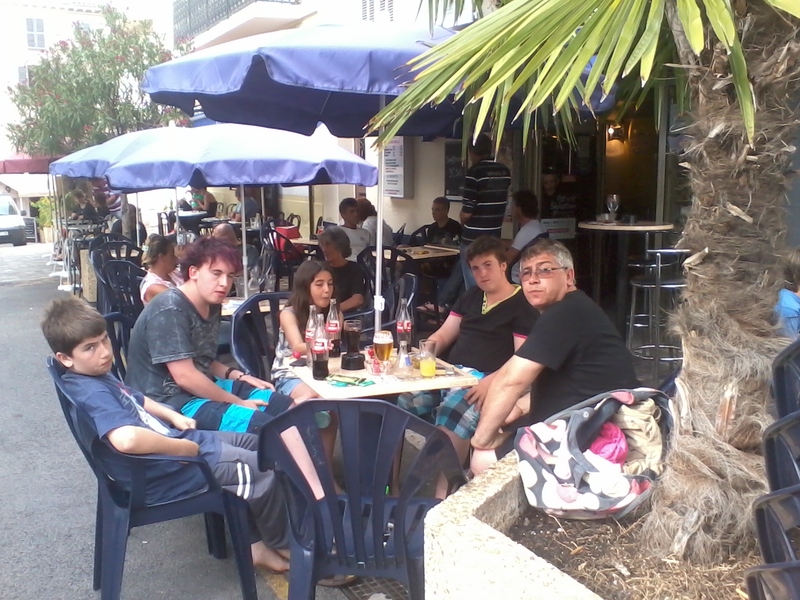 18 euros for 6 soft drinks is a fair price in Cannes but it hurts me so much! In fact the whole budget has completely evaporated, despite my best intentions, as the prices down here are the same or more than they are in the UK, luckily we’ve found the Lidyll in Frejus. 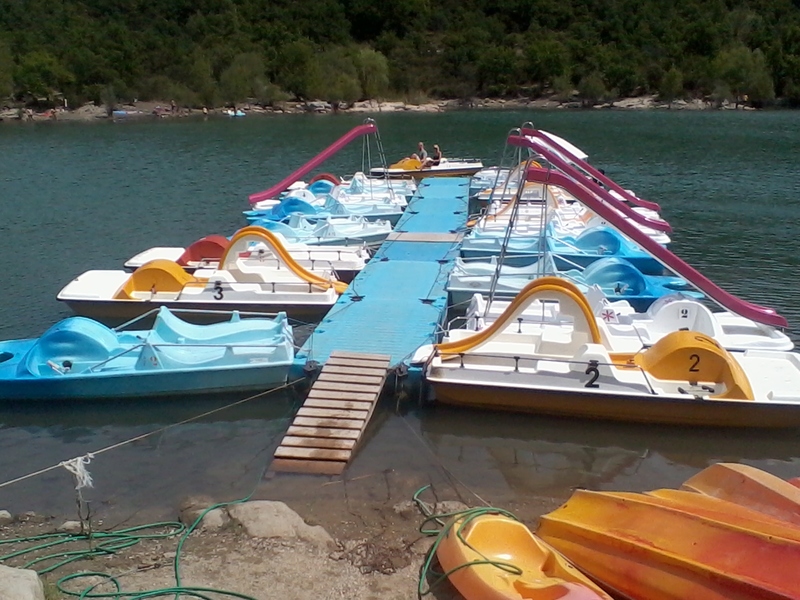 This entry was posted in Budgeting, camping france, Eating Out, Family, Fiat Multipla, The Med and tagged busy cannes, canoe, coffee by the lake, fiat mul;tipla and hills, Lac De Saint Cassien, lydl frejus. Bookmark the permalink.